Find a range of hanging fasteners for suspending pipes and tubing from a variety of surfaces. 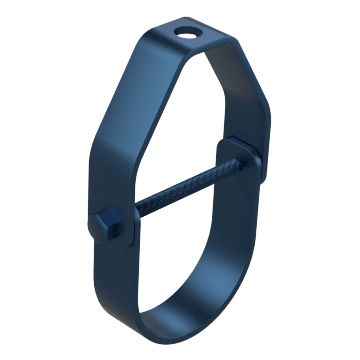 Suspend pipes with these U-shaped clevis hangers, which have a pivoting bottom that accommodates pipe movement and vibration. 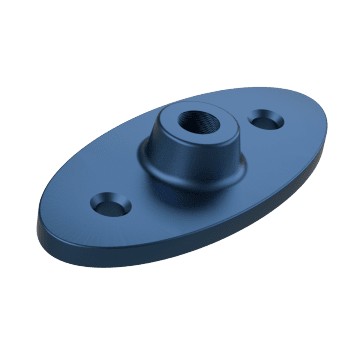 They have a mounting hole on the top for attaching the hanger to a surface or fixture using a fastener or threaded rod. When mounting the hanger with a threaded rod, the vertical position of the clamp can be adjusted after installation. 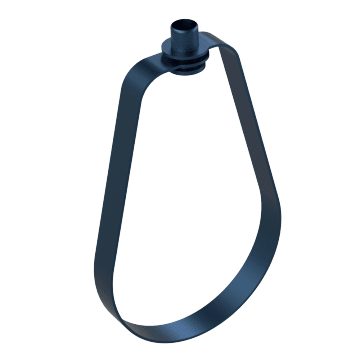 Also known as teardrop hangers, swivel loop hangers support suspended pipes and swivel side-to-side to accommodate movement in the piping system. 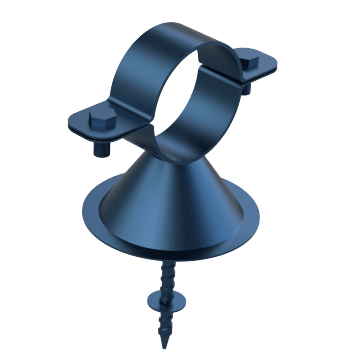 They have a mounting hole on the top for attaching the hanger to a surface or fixture using a fastener or threaded rod. 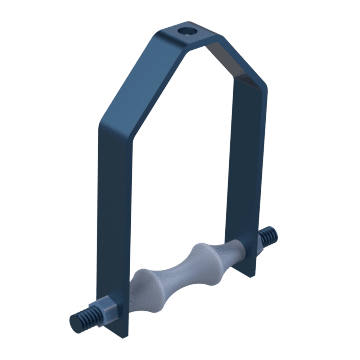 When mounting the hanger with a threaded rod, the vertical position of the clamp can be adjusted after installation. 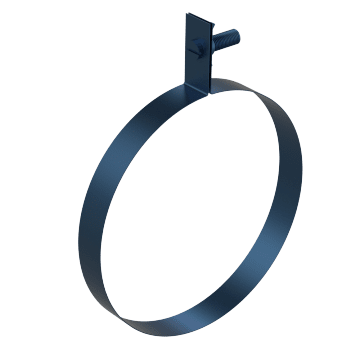 U-shaped loop hangers (also known as teardrop hangers) are used to hang stationary pipes. 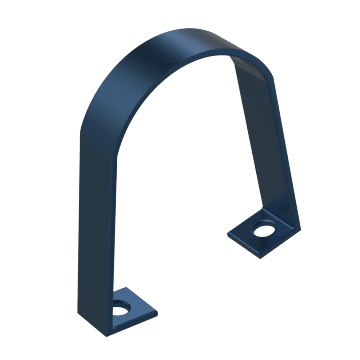 They have two mounting holes at the top of the hanger for mounting the hanger to a surface or fixture with fasteners. Use roller hangers to suspend pipes in applications where the pipe may expand or contract. Rollers on the base of the hanger allow the pipe to move in the same direction as the roller. Remove the side bolt on these hangers to load them from the side without having to remove the hanger from the surface or fixture it's mounted to. 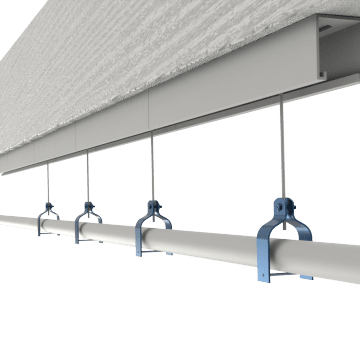 They have mounting holes on the top and side for attaching the hanger to a surface or fixture using a fastener or threaded rod. 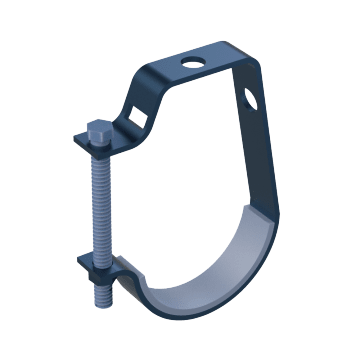 When mounting the hanger from the top with a threaded rod, the vertical position of the clamp can be adjusted after installation. 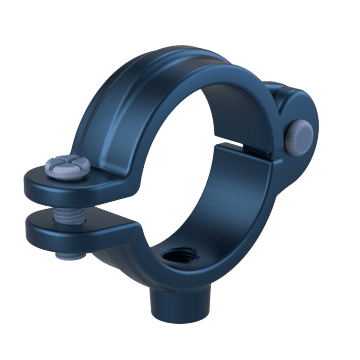 Hang horizontal or vertical pipes from joists, walls, rafters, or beams with these split ring clamps. Separate the two halves of the clamp for quick installation and then tighten the side screws for a snug fit. Corrosion-resistant sanitary hangers (also known as hygienic hangers) are ideal for food-processing facilities and other applications where hygiene is a concern. Elastomeric material on the inside of the clamp cushions the pipe to reduce noise and vibration. Affix these pipe hangers to rods or supports to hang ducting. They require a compatible hanging bracket to mount. Featuring a recessed mounting screw that can pierce metal studs, use these bell hangers to suspend stationary pipes. 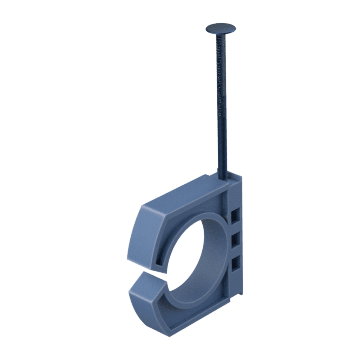 Versatile U-bolt clamps screw into a surface or fixture and have a round body that supports pipes. 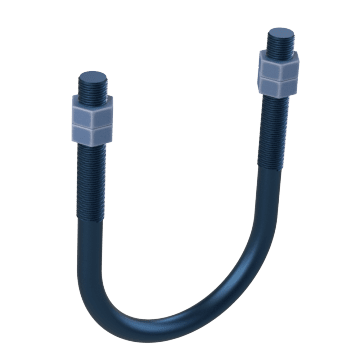 Hang stationary pipe lines and reduce noise in your system with these cushioned clamping hangers. 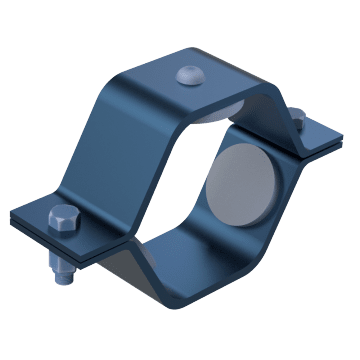 These hinged clamps can be installed without disassembling the clamp. 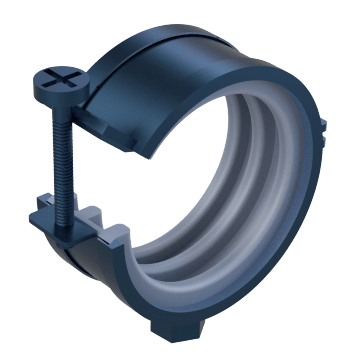 They have an elastomeric sleeve that dampens noise and vibrations and prevents dielectric corrosion from metal-on-metal contact between the pipe and clamp. Attach these hanger brackets and plates to beams or ceilings to support pipe and tube hangers.